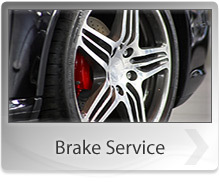 Ensuring your suspension is up to par is an important component of a well-maintained vehicle. But you shouldn't trust your suspension work to just anyone! 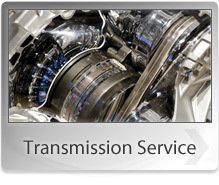 A&B Transmission & Service Center offers affordable services that are hassle-free and reliable every time. Contact us at 208-357-7665 or send us an email for more details! Air suspension is used in place of conventional steel springs in heavy vehicle applications such as buses and trucks. It is broadly used on semi-trailers. The purpose of air suspension is to provide a smooth, constant ride quality. Modern electronically controlled systems almost always feature self-leveling along with raising and lowering functions. Although traditionally called air bags or air bellows, the correct term is air spring (although these terms are also used to describe just the rubber bellows element with its end plates). Trust the experts at A&B Transmission & Service Center when your truck's air bag suspension needs service, repair, or replacement. Call us at 208-357-7665 to schedule an appointment. Most equalizer kits include U-bolts, Equalizer Bars, Shackle Plates, Greasable Bolts, Rollers, Spring Washers, Washers, U-bolt Plates, and Nylon Locking Nuts. For all your suspension equalizer needs, visit or call A&B Transmission & Service Center in Shelley, ID 83274 today. Hangers are an effective way to enhance your truck's driving stability, handling, and suspension response. Hangers lower your truck's center of gravity, protecting it from rollovers in turns and corners and help you modify your truck's ground clearance. Whether you want to lower or raise your truck using hangers, call 208-357-7665 or visit A&B Transmission & Service Center today. With shocks, you will be able to take your truck to places you never thought possible. Shocks work together with springs (they damp spring oscillations) to give your truck the best overall performance and the ability to carry the maximum load. For all your shock servicing, shock repairs and shock replacement needs, call or visit A&B Transmission & Service Center today. For all your torque arm and walking beam servicing needs, visit A&B Transmission & Service Center in Shelley, ID 83274.